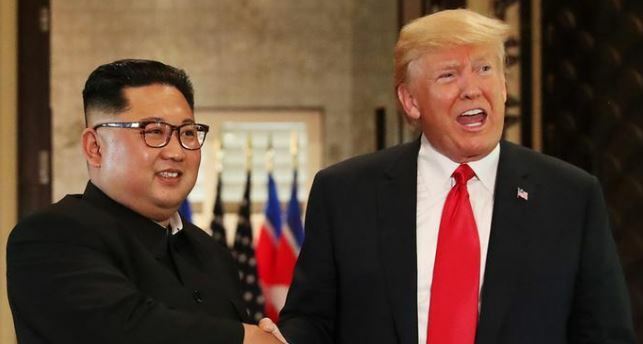 Washington DC: US President Donald Trump and North Korean leader Kim Jong Un will hold a second summit on February 27-28 in Vietnam. This was confirmed by Trump, who made the announcement during his annual State of the Union address to Congress on Tuesday. As of now, it is not clear in which Vietnamese city the meeting would take place. However, Vietnamese capital Hanoi and the seaside city of Damang are two of the possible locations. “As part of a bold new diplomacy, we continue our historic push for peace on the Korean Peninsula. Much work remains to be done but my relationship with Kim Jong Un is a good one.” Trump said on Tuesday. Notably, Donald Trump and Kim Jong Un had met for the first summit at Singapore in June last year. The summit hailed denuclearisation but not much could be executed due to disagreement over the interpretations of the agreement. However, Kim Jong Un had vaguely committed to work for the denuclearisation of the Korean peninsula where US troops have been stationed since the 1950 Korean war. North Korea has also demanded the lifting of US sanctions, end of trade war and security guarantee from the United States.